Earlier this week, regulators from France, Italy, Spain and Portugal signed an online poker liquidity agreement in Rome. As part of the agreement, the "walls" between the four countries will be brought down when it comes to online poker. Instead of having four individually ring-fenced online poker markets, players in France, Italy, Spain and Portugal will be able to play against one another. This is obviously beneficial for the game, as larger player pools are good for the game of poker. Online poker has undoubtedly been in a downtrend over the past 5-7 years, while online casino and sports betting have continued to grow. One of the biggest reasons behind the downswing in poker has been the regulation of markets such as Italy and Spain. Regulation is fine, but many markets chose to ring-fence their players. This resulted in smaller player pools, which in turn resulted in less interest from players. Small tournaments don't really interest casual players - what interests casual players, instead, is the opportunity to take down a big score in a Sunday tournament that is being played by thousands of other players. Removing the walls between the Italian, French, Spanish and Portuguese markets will help to attain this, and the game of online poker will benefit as a result. Poker is a social game, and the more participants the better. Larger field tournaments creates more interest amongst casual players, which results in a compounding effect that benefits the game of poker. Countries such as France quickly realized the folly of ring-fencing their players, especially when compared to the results of the United Kingdom market, which allows their citizens to play against players from other parts of the world. The United Kingdom online gaming market has flourished over the past 5-7 years, while ring-fenced markets such as France and Italy have stagnated. 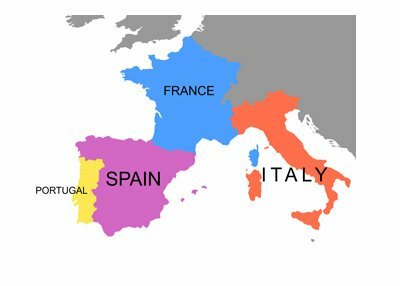 There will certainly be some integration issues to iron out, though the online poker liquidity agreement between France, Italy, Spain and Portugal is certainly a positive for the game of poker.